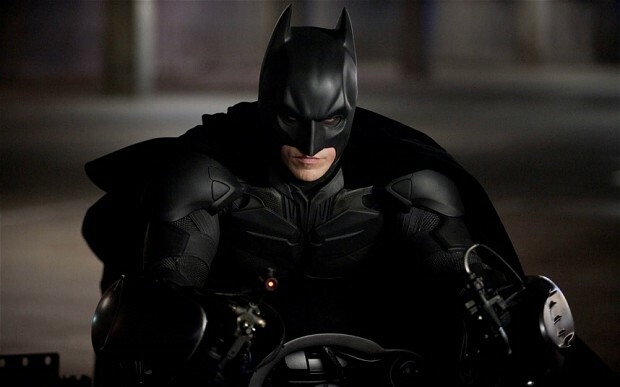 With Batman Begins and The Dark Knight, Christopher Nolan brilliantly reinvented the iconic character of The Batman. The Dark Knight Rises marks the thrilling conclusion to his trilogy, and the setting of an impossibly high bar for superhero movies, for trilogies/series, and for cinematic storytelling in general. The Dark Knight Rises also brings Nolan’s cinematic record to an unheard-of 7 for 7 in great movies. He announced himself in Hollywood with the twisty ploting and bold structure of Memento; brought an epic and lonely grandeur to the Al Pacino thriller Insomnia; reinvented superheroes with Batman Begins; delivered the uniquely dazzling magician-thriller The Prestige; channeled the brutal scale of Heat and The Godfather to make one of the greatest sequels of all time with The Dark Knight; blew our minds with the extraordinary dream-, perception- and reality-bending Inception. That’s seven era-defining, pop culture-redefining classics in a row. It all comes down to Nolan’s magnificent, architectural, kinetic and flat-out rock-solid grasp of how to blend and meld action, character, concept and emotion into one fluidly relentless thrill-ride. He’s a master storyteller, both on the page and up there on the screen. His scripts have an architect’s precision, a powerful, inexorable structure on which he hangs his whole new cinematic language of action and motion. A language which reaches new heights in The Dark Knight Rises. The scope and complexity of the storytelling in The Dark Knight Rises is thrilling, especially when you look at it in the context of the trilogy as a whole. From the bold creation of the new origin story, to the reimagined diabolical and morally vacuous Joker, to the vast and inhuman monstrosity of Bane, Nolan keeps the character of Bruce Wayne/The Batman fully grounded, while also continually challenging him in fundamental and ever-escalating ways. The stakes are jacked up in the final installment, with Batman facing his most lethal adversary, and Gotham City itself threatened with being burned to the ground. It’s the stuff of brilliant drama. It’s great writing, augmented by next-level directing. 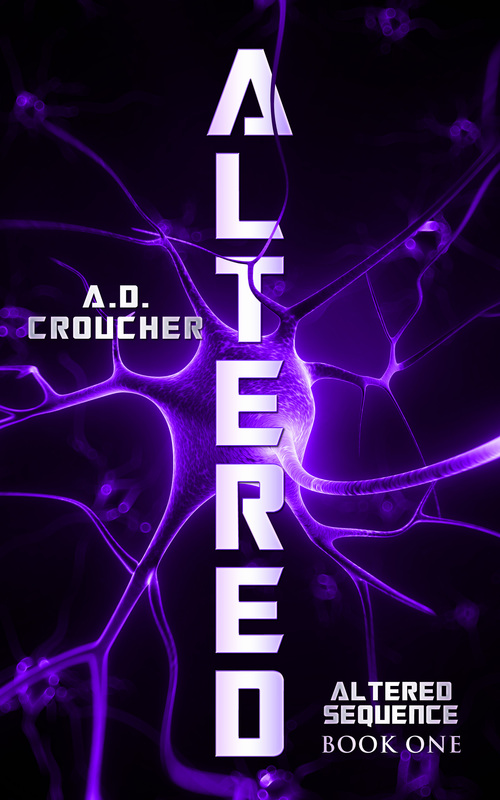 The one liners are heavyweight punches; the physical and emotional punches are devastating body blows; the gadgets and vehicles blow you away with their newness and coolness; and the cool, measured approach taken by Nolan reins everything in and then whips it up into an intelligent maelstrom of furious action. He makes the visual, visceral. It’s easy to show big stuff, or blow big stuff up. It’s extraordinarily difficult to invest such visuals with emotion. To do that, the shot needs conceptual and emotional layers. Which means you have to build them in and lead up to the moment, often in subliminal ways. And that comes down to the script. The Batman movies usually start with Nolan and David Goyer (Blade, Man Of Steel) breaking story. Then Jonah Nolan writes the script. Then Christopher Nolan rewrites it, and pre-production begins. That’s one hell of a writers room. 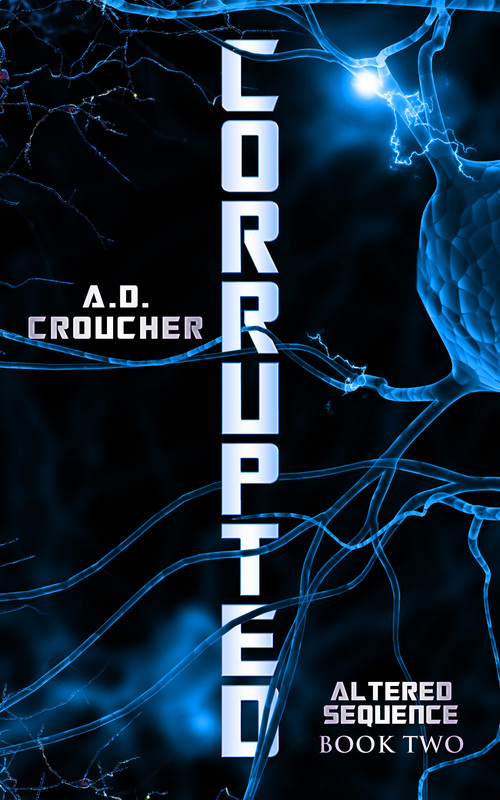 The scripts are juggernauts of narrative momentum, but they always find time to play, and to make you hurt, and dream. And to care. In all three movies, you care about the characters, and the things that happen to them. When Batman makes his first appearance on the Batpod in The Dark Knight Rises, you’re invested in it (for all kinds of reasons), and that makes it all the more thrilling. Another example is the way Nolan and his team brought Catwoman to life. Once the Nolans worked out that she should be a femme fatale, a grifter, they wrote the hell out of her part. That commitment extended to the costumes too. They did a particularly brilliant job making the “cat ears” an integrated part of her cat burglar tech gear, which itself is an integral part of her character. Indeed, from the beginning of the trilogy, one of Nolan’s most original contributions has been to make all the “superhero” stuff utterly grounded, completely explained by function and need. Everything is logical, explainable, rooted in reality. This gives its superhuman behavior much more impact, and increases the coolness quotient exponentially. It’s one of many aspects of Nolan’s version that serves as a masterclass for all genre writers and directors. Of course, when Nolan wants to unleash technological and conceptual hell, he does it with massive style. Especially in IMAX. The first time you see and hear “The Bat” roar into view on an IMAX screen is one of the top ten thrilling moments in cinema history. 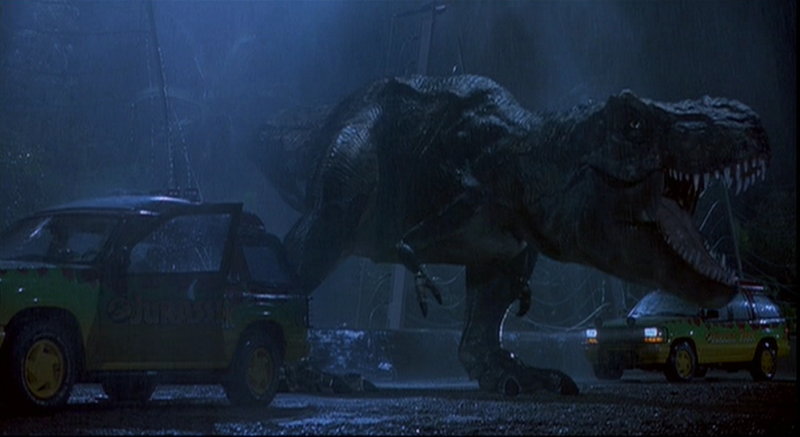 Just by way of perspective, so you can see where I’m coming from, my personal number one on that top ten list (and please feel free to add your own suggestions in the comments below) is the first appearance of the T-Rex in Jurassic Park. On every f**king level — conceptual, visual, primal, emotional, cinematic — it blows you away. The way Nolan handles The Bat falls squarely in this territory. 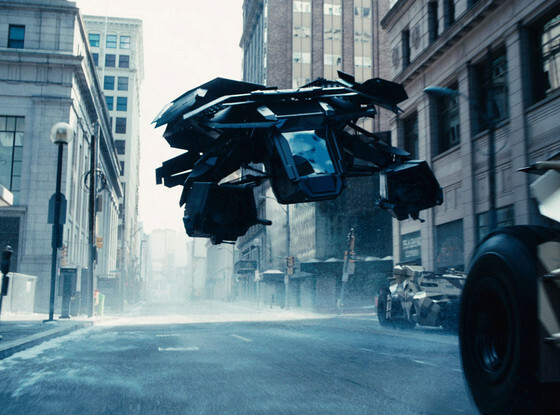 The way he flies it around Gotham’s steel and glass towers also shows us why in some ways The Dark Knight Rises is Nolan’s Blade Runner. He’s also staked his claim as a true innovator, even though he insists on shooting and editing on film rather than digital. I’m talking about his use of IMAX cameras. Where James Cameron has pioneered 3D, and Peter Jackson is pushing the hyperreality of 48fps, Nolan has single-handedly taken IMAX from the realm of documentaries into the world of the 21st century blockbuster, by shooting ever-increasing numbers of scenes using those cameras. He’s proved that you can shoot drama and action in the format, and use it to enhance the emotional impact of the visuals. But Nolan’s grasp of the mechanical and technological is just as deft as his way with emotions and dreams. He understands the human heart and all the trouble it can get us into. He’s a master architect of the human mind, along with his brother Jonah Nolan, who is currently showrunner of the stunningly great NYC-set TV show Person Of Interest. Together, they’ve brought a wholly original point of view to their blend of noir, epic crime, zinging dialogue and startling concepts. Of course, all this is well and good, but without the cast, the movies couldn’t succeed. Nolan knew this, which was why he cast Christian Bale. From his start as a young boy lost in WW2 Japan in Steven Spielberg’s excellent Empire Of The Sun, to his Oscar-winning performance in The Fighter, Bale has always delivered maximum intensity and rawness. Whether playing a free spirit succumbing to 60s British suburbia in Metroland, or the burning-out wannabe LAPD cop in Harsh Times, Bale always immerses himself in a part, turns it inside out, becomes it. That transformation burns its way out of the screen. Who better, then, to play the broken billionaire, tortured by terrible loss, always fearing yet embracing his own inner monsters? 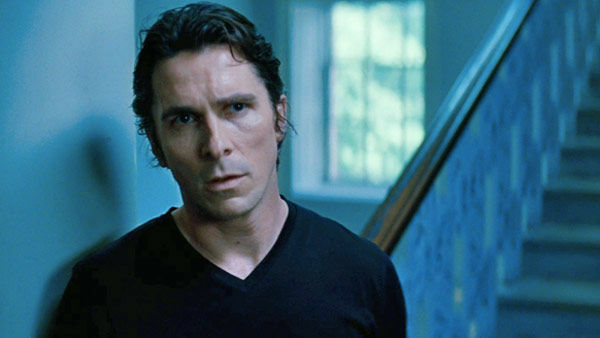 In the prior two movies Bale was outstanding, delivering a pyschologically detailed and gripping portrayal of Bruce Wayne. In this movie, he somehow steps it up yet again; this is some of his finest, most heartbreaking, and most ferocious work. The movie is full of legends and stars: Michael Caine, Gary Oldman, Marion Cotillard, Joseph Gordon-Levitt, Morgan Freeman, and Tom Hardy all invest their scenes with heart and soul. Oh yeah, and Anne Hathaway as Selina Kyle? Revelatory. In “Catwoman mode,” she’s stylized, deadly, her speech hovering just the right side of a seductive almost-purr, hazy and woozy yet always in control. And in depicting a vulnerable, haunted young woman on the run from an unknown past she fully reveals how Kyle is in the grip of complex moral conflicts. She’s a great female character for a superhero movie, and Nolan shoots her scenes alternating through close-ups, fascinating camera tilts and alluring distance. He shows us her dreams, even as she does her best to hide them. There’s a great line in Ridley Scott’s Legend: “the dreams of youth are the regrets of maturity.” In some ways, that line resonates powerfully within the world of The Dark Knight Rises; the characters are haunted by dreams, by futures lost. But it also applies to the movie itself. All of us geeks have been fans of superheroes since we were kids. What Nolan has done is turn those dreams of our youth into the extraordinarily thrilling dreams of our maturity. Excellent. I was young when I saw ABC’s horrible Batman show. Christopher Nolan has restored Batman for all time. Christopher Nolan has given us the definitive, ultimate version of Batman, no doubt. His trilogy is stunning. I’ll always have a soft spot for the Adam West show though… that was my very first introduction to Batman and the Batmobile… Fond memories of discovering the world of superheroes.